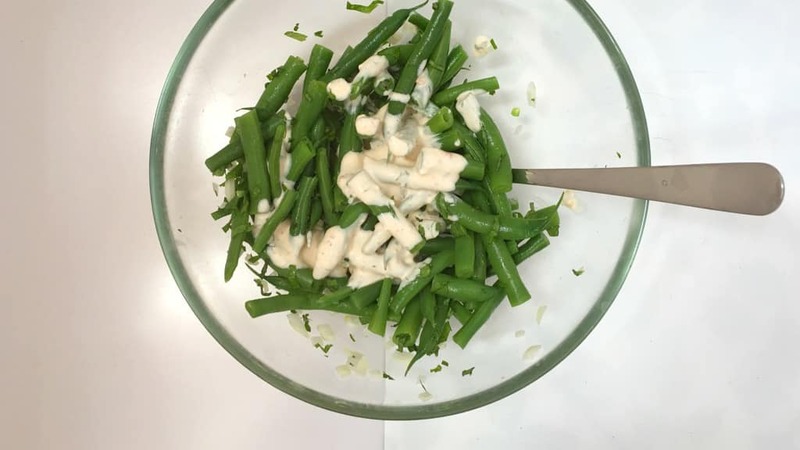 Green Bean Salad & Garlic Cream Cheese Dressing | Simple. Tasty. Good. Can’t wait! But what dressing should I add? Olive oil and vinegar, fine but I miss something. I wanted to make a mayo dressing but… no mayo in my fridge! I did find cream cheese however. Add some milk to make it runnier, pinch of garlic powder. Drizzle that on top of the cooled chopped beans and add some extra fresh onion crunch. Perfect! 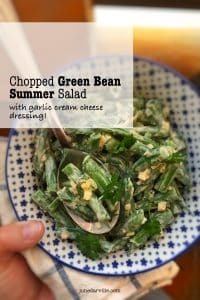 Love green bean side dishes? Then also check out my green bean bundles wrapped in bacon! It's BBQ time! 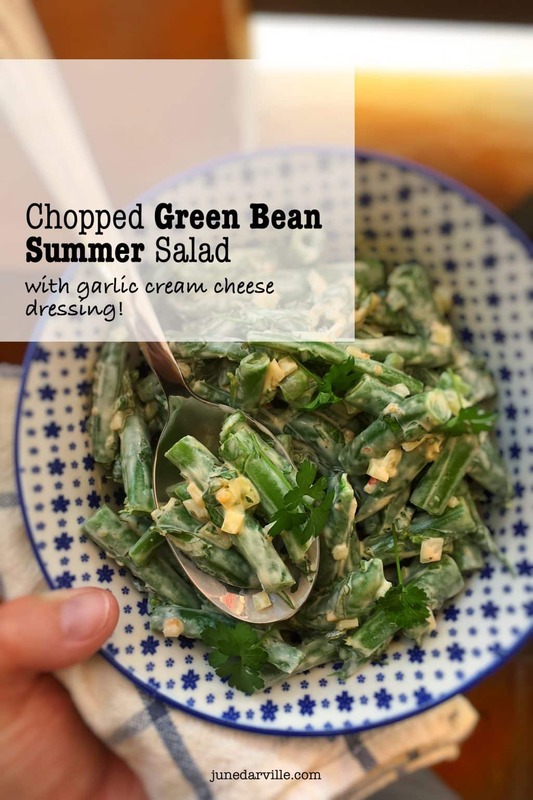 This green bean salad in garlic cream cheese dressing is perfect with grilled steak or wings! 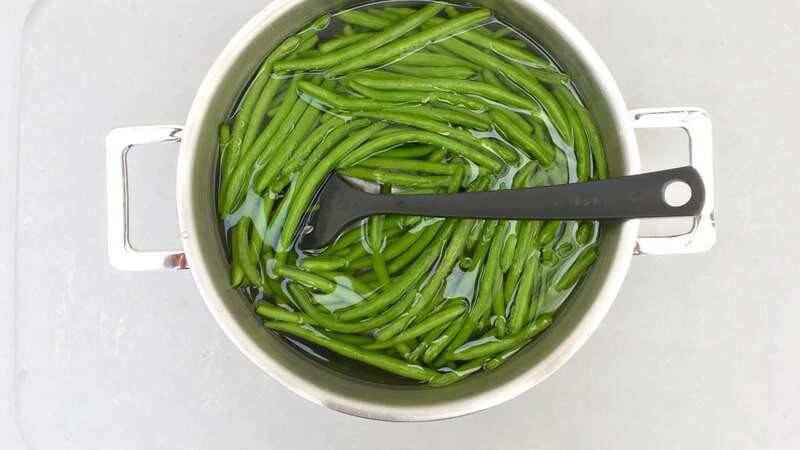 Trim the green beans and rinse them. Fill a large pan with water and add a pinch of salt. Place it over high heat until boiling. Then add the green beans. Cook the beans for 5 to 6 minutes or until al dente. Don’t overcook them! Once done, immediately take the pan off the heat, strain the beans and refresh them under cold water to stop the cooking process. Let the beans drain and place them in the fridge for 10 minutes. 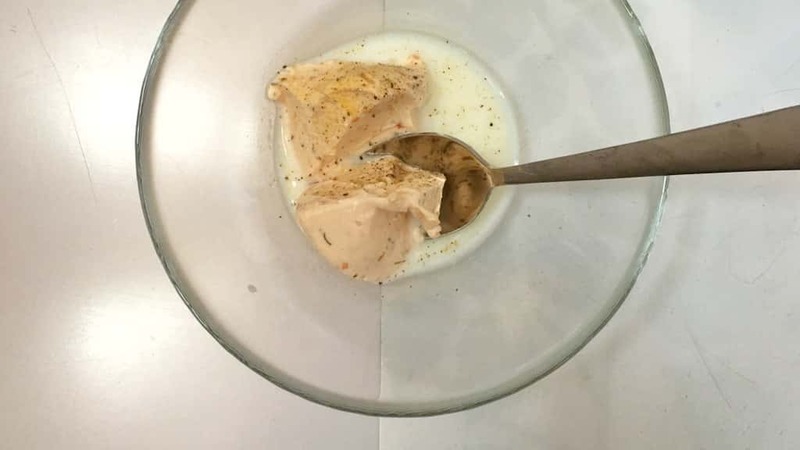 In the meantime combine the cream cheese and milk in a cup. Season with a pinch of the garlic powder, pepper and salt. 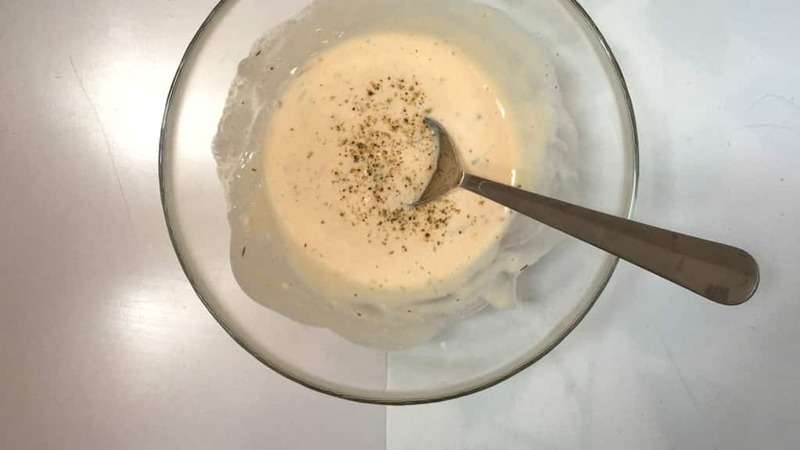 Stir the dressing until smooth. Check the seasoning and add extra pepper, salt or garlic powder to taste. Chop the cooled green beans into bite-size bits. Add the them to a large mixing bowl together with the chopped parsley or mint and onion. Stir well and drizzle with the cream cheese dressing. Check the seasoning and add extra pepper or salt to taste. 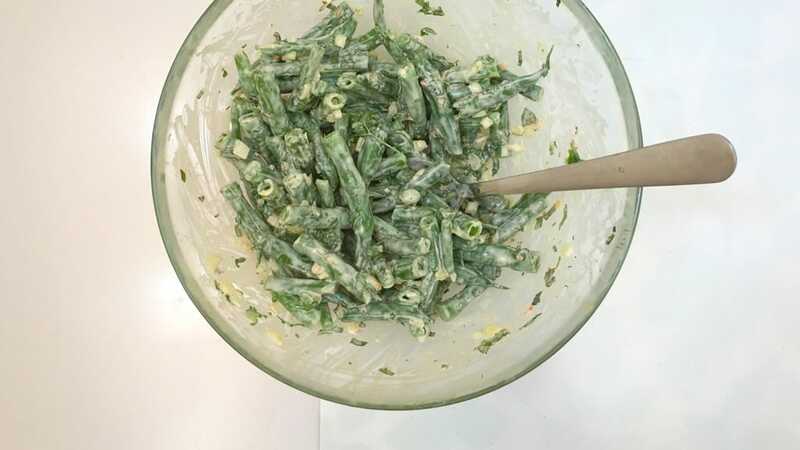 Scoop the green bean salad into a serving bowl and place it in the fridge for another 10 minutes to chill. Serve cold.